Conor McGregor is looking for a fight and there are a lot of rematches he has in mind. During a recent Q&A in Chicago, McGregor was asked about a potential rematch with Floyd Mayweather. 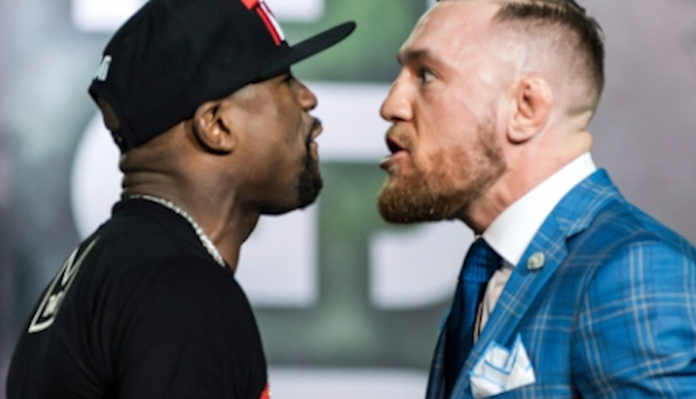 McGregor took aim at Mayweather’s financial habits and said that he believes Mayweather will have a time where he needs to fight because he spends too much of his money. It wasn’t all a shot at Mayweather however, as McGregor took time to breakdown how Mayweather changed his fighting style and stance in their first fight, which led to Mayweather’s TKO win over McGregor in 2017. “Floyd fought great,” McGregor said. “Usually he fights defensive against the ropes. Against me, he changed it up. The boxing world had not seen Floyd compete like that, that Mexican style, hands up over his eyebrows, marching forward. In my preparation when I was sparring, all my sparring partners were on the back foot, with the shoulder roll against the ropes, the way he usually would fight. Conor McGregor acknowledged what went wrong in his training camp leading up to the Floyd Mayweather fight and what went wrong during the fight, but he would go on to say he believes the rematch should happen and if it does, things would go much differently this time. McGregor spoke about several different topics during the Q&A session, but he made it clear that he’d like to get a few of his losses back, including the boxing fight with Floyd Mayweather.